The most important thing you can wear today isn't your sweet new jacket (or...earmuffs if you are Mike Frerichs! 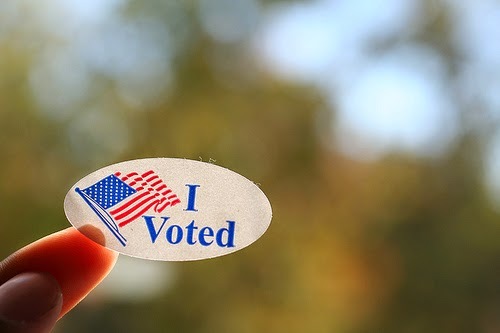 ), but rather that simple 'I voted' sticker. We're rockin' our sticker today. We hope you are, too.